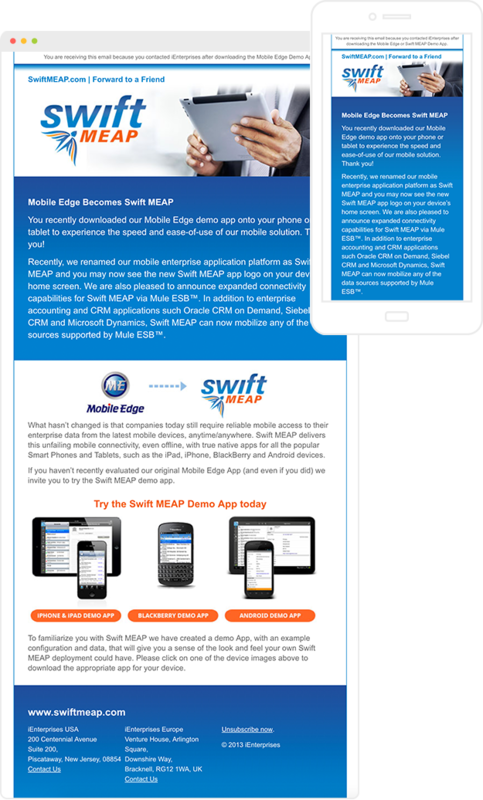 Swift MEAP worked with Visible Logic on many elements of their brand identity including naming, logo design and web site. Their email marketing system needed to continue their brand identity and work with their CRM. They can manage all their leads in one place when their CRM syncs with Mail on the Mark. We sync’d with their SalesForce CRM so we can tailor content based on the recipient status in the sales cycle. By reviewing who had read or clicked on key content, we could target our key prospects.